The parents of the PTO will be serving a variety of chowders prepared by many of your favorite local restaurants. Salad & desserts will also be served. During the event there will be a silent auction of various pieces of art donated by local artists. Dinner will be served in the Louise Dupont Crowninshield Community House located at 131 Banyan St. from 4pm-to-7pm Saturday January 24th. $15 for adults (price includes a memento created by one of the Island School children), $5 for kids, cash at door. Silent auction ends at 6:30pm. All items awarded & paid for at event. Can’t stay for the event? 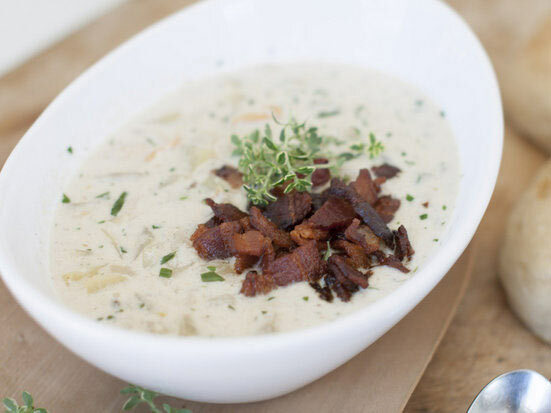 We will be providing chowder to-go orders as well!